The district serves approximately 5,300 students, ranging from pre-k to grade 12, including special needs populations and adults. From academics to athletics, the district is recognized as a top school system in New York State. In 2015, voters across the district approved a $63 million budget earmarked for capital improvements throughout multiple buildings. 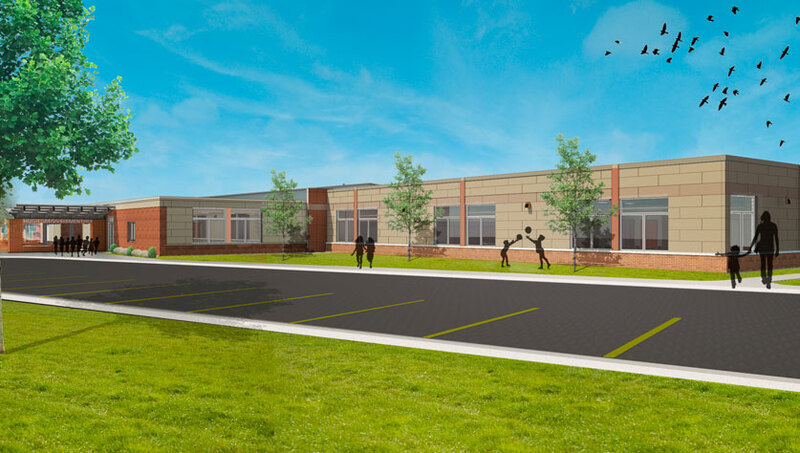 A targeted initiative of the capital project includes site improvements, additions, and renovations to all six (6) of the existing elementary schools, which were all built in the late 1950′s. In addition, renovations will be made at the high school’s Memorial Stadium and pools at both the high school and middle school. Roof and bus garage lift replacements are also included in the referendum. Our construction team began work at Erwin Valley and William Severn in spring of 2016; at Frederick Carder and Hugh Gregg in 2017; and at Winfield Street and Calvin U. Smith in 2018. Each school will take about a year and a half to renovate, including work over two summer breaks.